This page is me conquering the dreary weather, and the winter blues. It is bright, colorful and full of birthday cheer. I used some of my favorites from Core'dinations, I really can't get enough of the dots :) Remember the invites that I made a while back? 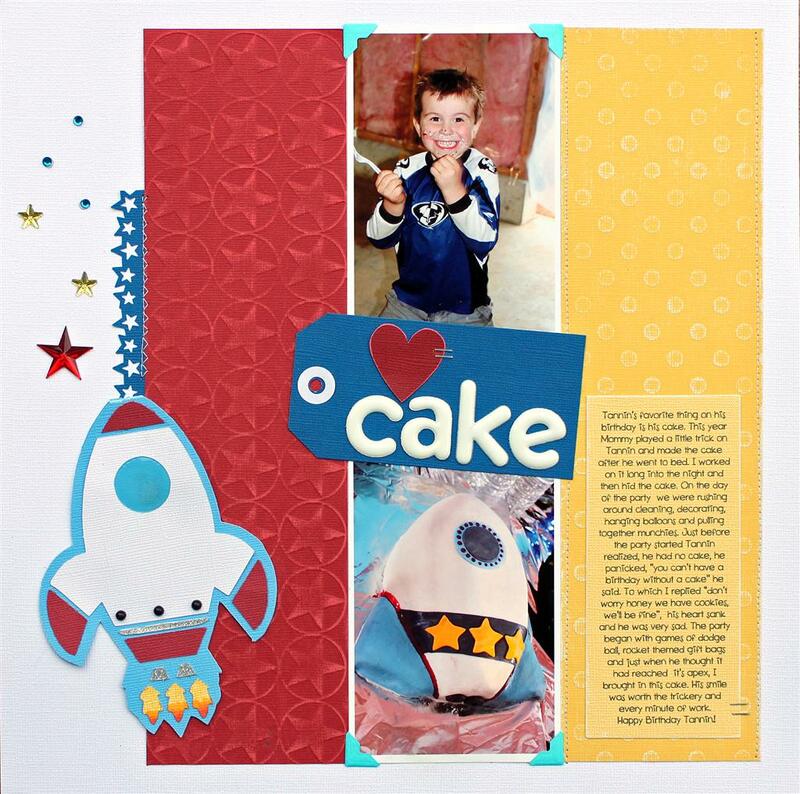 Well, I saved one with this kind of page in mind, so it was an easy instant embellishment with meaning!! 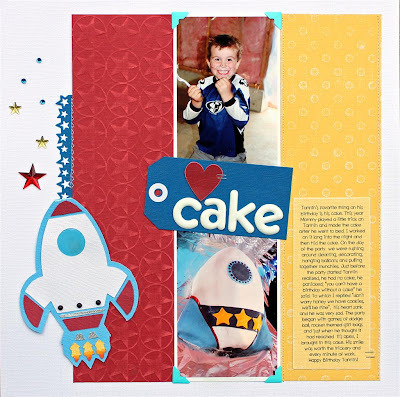 aww what an awesome page...that little cake is so fun..
Love the Core and that CAKE??!! How awesome are you making the coolest rocket cake ever? What an adorable page Lydia - love the core!